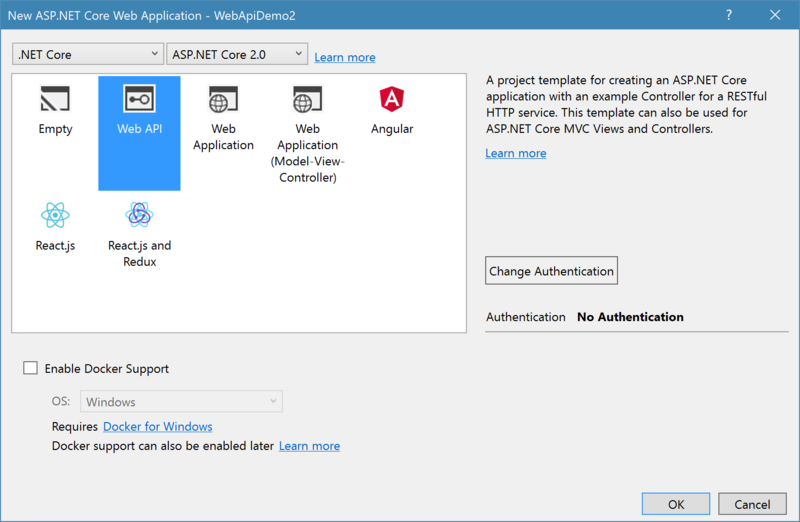 ASP.NET Core 2.0 is out and it is great. Testing worked well in the previous versions, but in 2.0 it is much more easier. Xunit, Moq and FluentAssertions are working great with the new Version of .NET Core and ASP.NET Core. Using this tools Unit Testing is really fun. 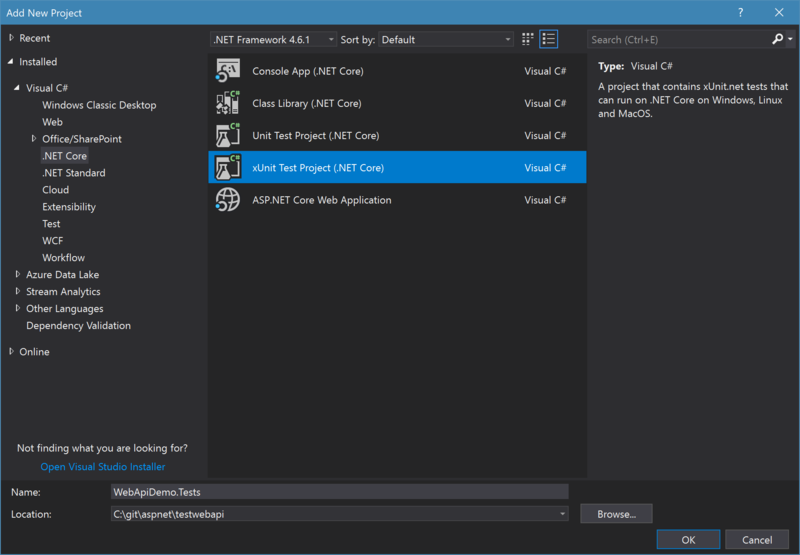 Even more fun with testing is provided in ASP.NET Core. Testing Controllers wasn't easier in the previous versions. If you remember the old Web API and MVC version, based on System.Web, you'll probably also remember how to write unit test for the Controllers. In this post I'm going to show you how to unit test your controllers and how to write integration tests for your controllers. To keep this post simple, I didn't select an authentication type. If this is done, we can create the test project. I always choose xUnit (or Nunit) over MSTest, but feel free to use MSTest. The used testing framework doesn't really matter. 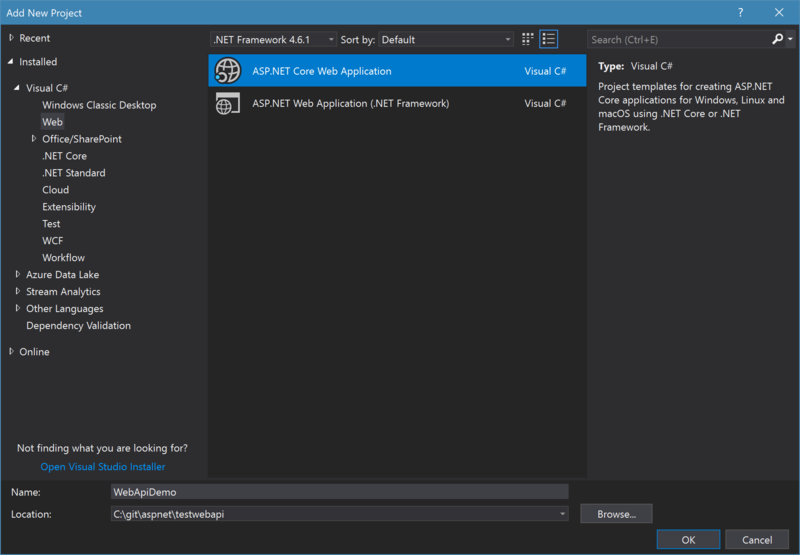 The first package contains the dependencies to ASP.NET Core. I use the same package as in the project to test. The second package is used for the integration tests, to build a test host for the project to test. FluentAssertions provides a more elegant way to do assertions. And Moq is used to create fake objects. This snippets also shows the benefits of FluentAssertions. I really like the readability of this fluent API. At first, the TestServer will be set up. This guy gets the WebHostBuilder - known from every ASP.NET Core 2.0 application - and uses the Startup of our project to test. At second, we are able to create a HttpClient out of that server. We'll use this HttpClient in the tests to create request to the server and to receive the responses. We need to prepare a little bit more. Here we create a StringContent object, which derives from HttpContent. This will contain the Person we want to add as JSON string. This get's sent via post to the TestServer. Thanks to the TestServer! With this it is really easy to write integration tests the controllers. Sure, it is still a little more effort than the much simpler unit tests, but you don't have external dependencies anymore. No external web server to manage. No external web server, which is out of control.